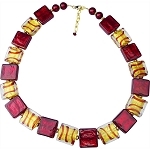 Necklace from sommerso 8mm beads hand strung in a 16 inch Murano Glass necklace with a 2 inch Extender featuring Gold Tone Clasp and findings. A matching bead dangles from the extender. 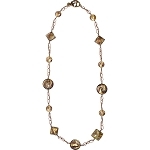 You often see these necklaces in the stores in Venice. 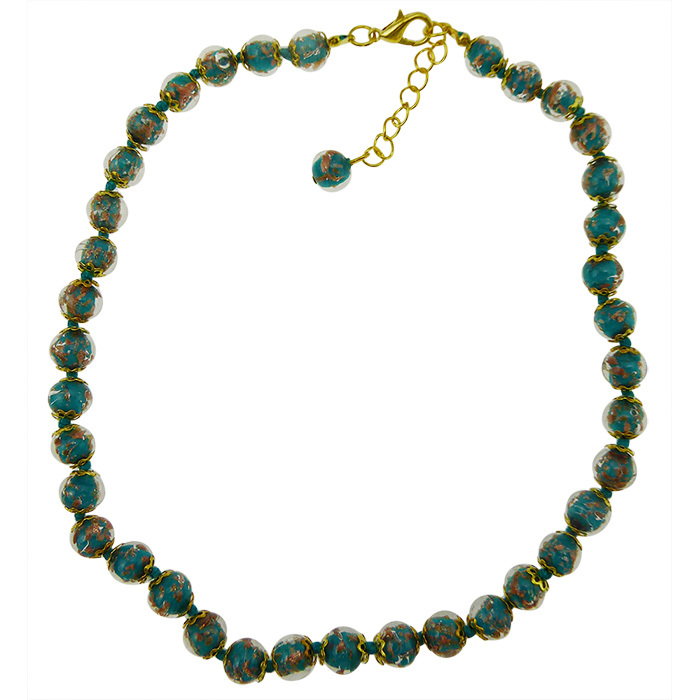 The beads are opaque Verde Petrolio, a greenish aqua with matching cord, handstrung.